Fall for a new home this season! 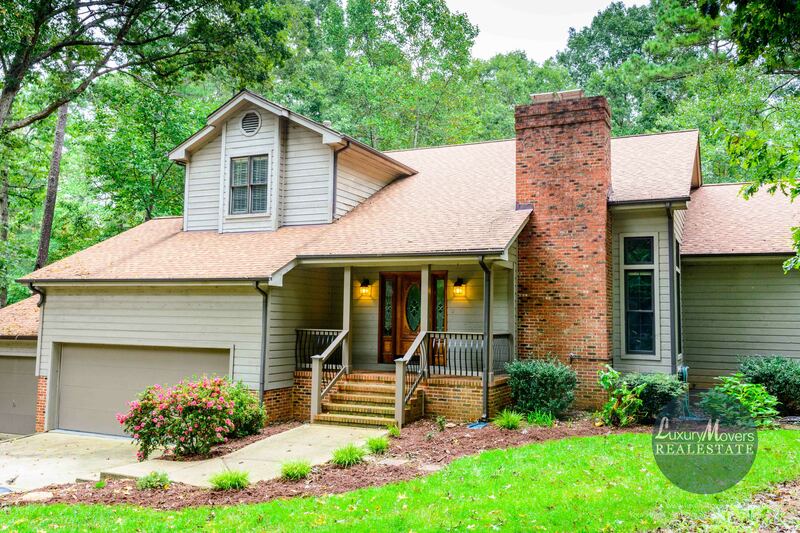 Stunning North Raleigh retreat that is close to everything in beautiful Sutton Estates! Soaring ceilings in the family room lead way into a gorgeous kitchen with solid wood cabinets, granite countertops, gas stove and tile backsplash! First floor master suite boasts sitting area, his/her closets, walk in shower with body sprayers and a whirlpool garden tub. 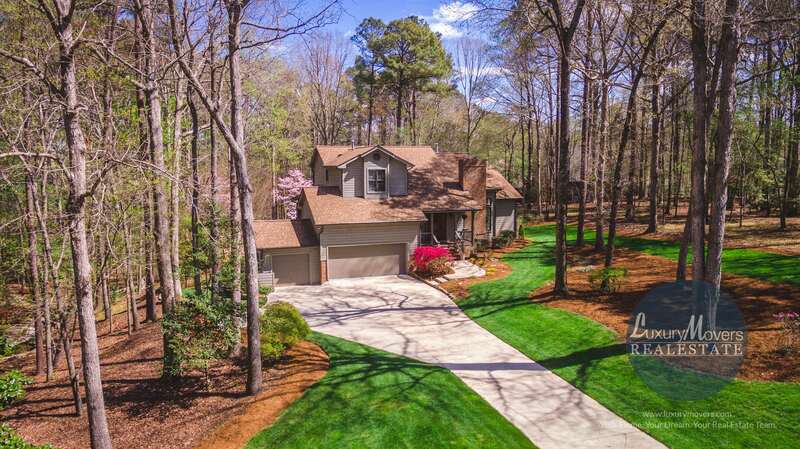 HUGE FINISHED BASEMENT with an extra family room, full bathroom and bedroom, plus wet bar! Large secondary bedrooms too! Three car garage and a SALTWATER POOL that creates your own paradise – newer cover, liner and motor! No septic permit on file. 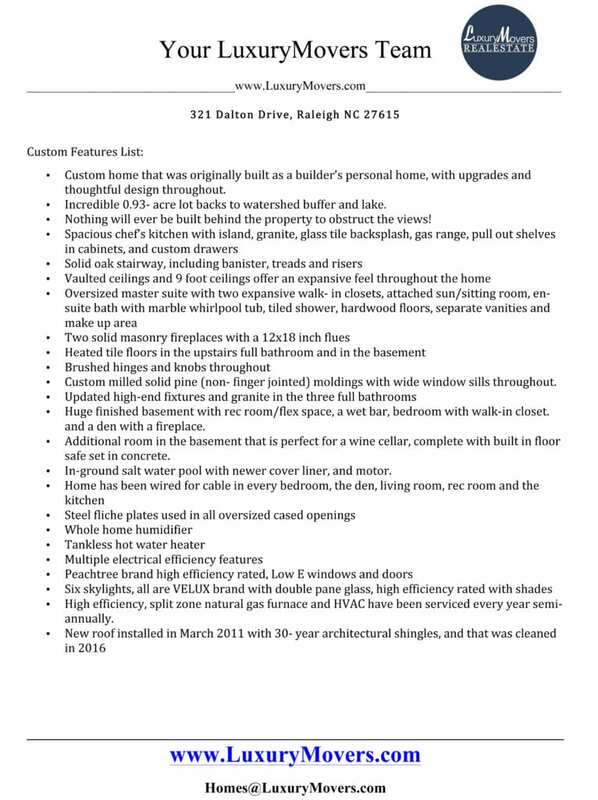 More pictures and information can be found on the MLS sheet for 321 Dalton Drive Raleigh, NC 27615. A video tour of 321 Dalton Drive is available on YouTube. Directions to 321 Dalton Drive Raleigh, NC 27615 can be found on Google Maps. Contact us at info@luxurymovers.com or 919-424-1867 to schedule a private tour.